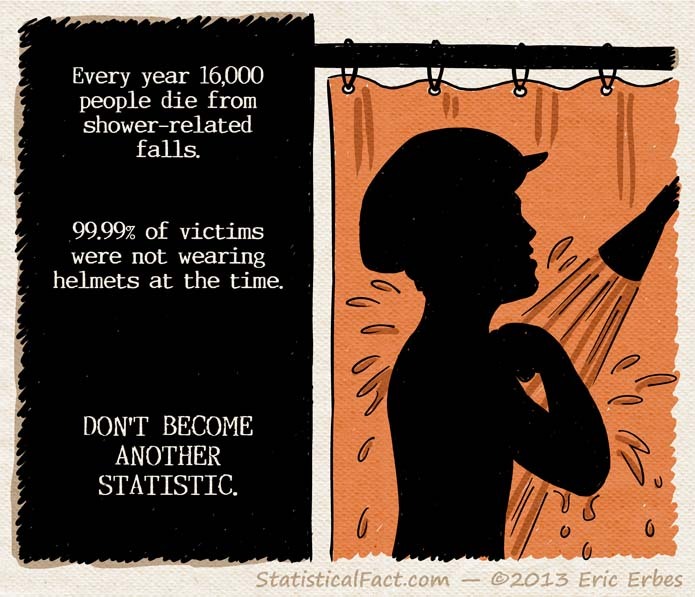 Every year 16,000 people die from shower-related falls. 99.99% of victims were not wearing helmets at the time. Don’t become another statistic.